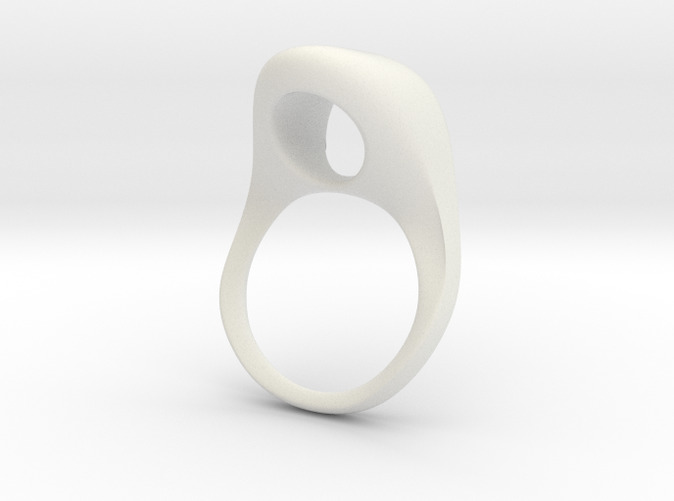 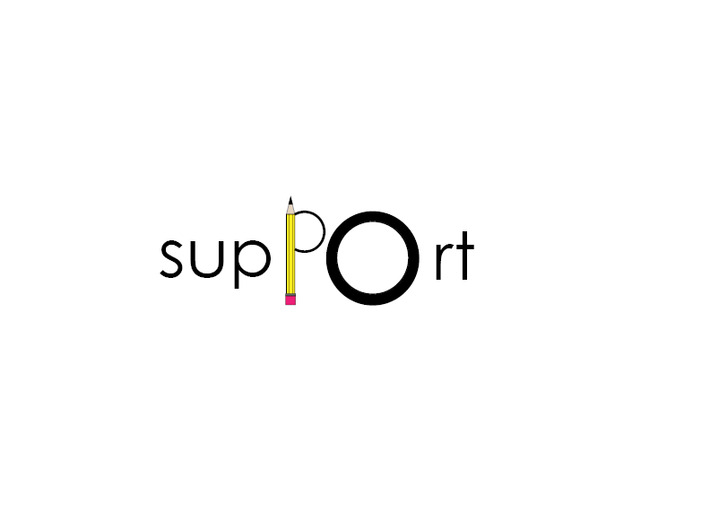 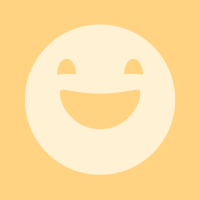 The supPOrt Ring is designed to help aid in writing and drawing for those with tired, weak, or disabled hands. 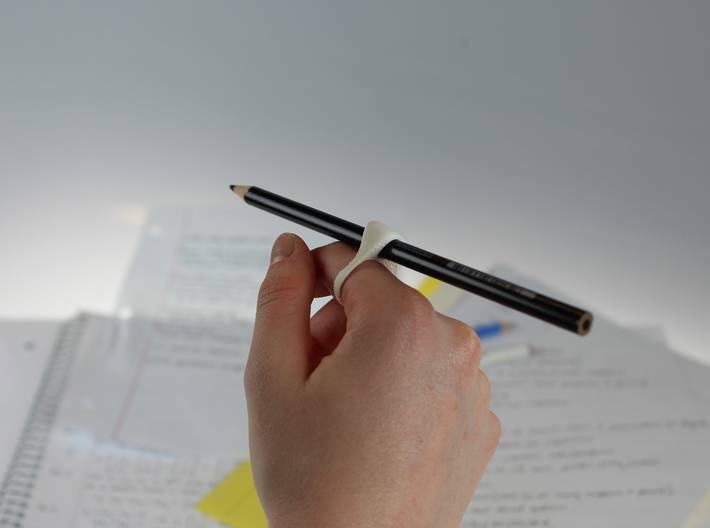 Simply put the ring on your index finger, slip a pencil through the top hole, and begin writing with ease. 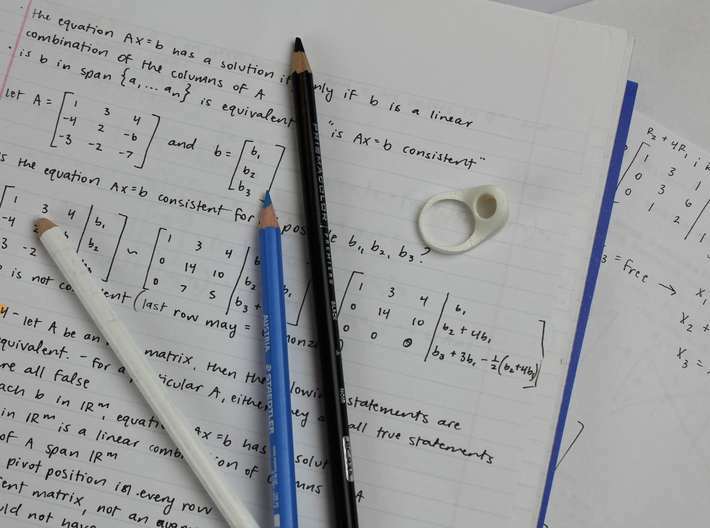 Tired of your pencils rolling off the table? 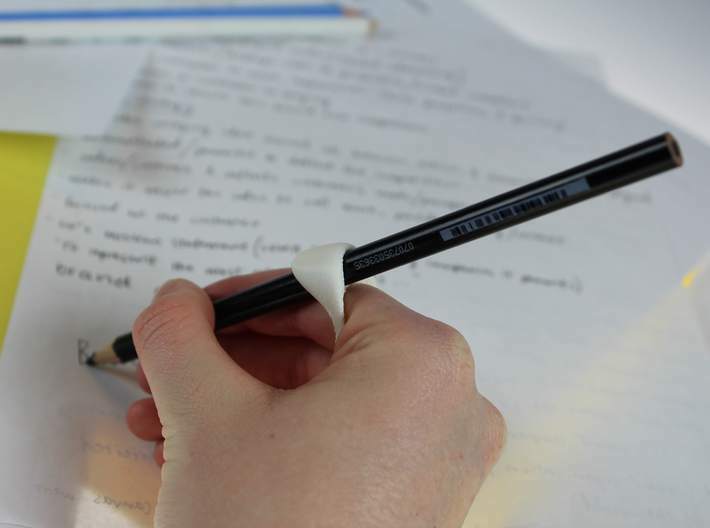 The supPOrt Ring has a groove running across the middle, so when you take the ring off, it has the ability to hold pencils in place while resting on the table. 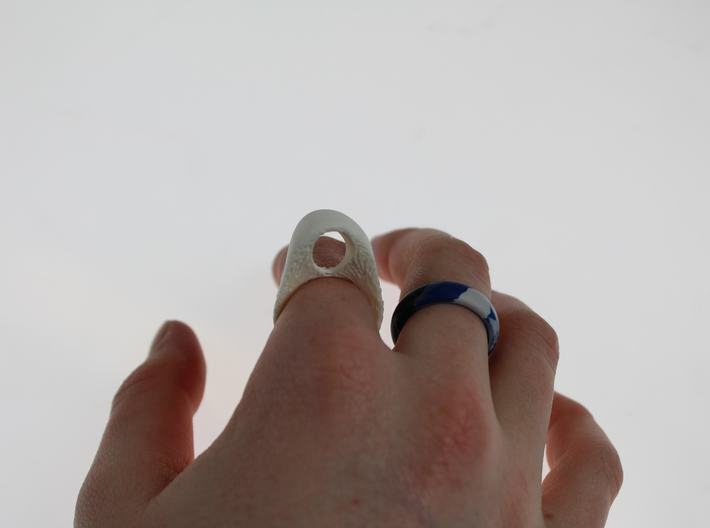 This ring was designed particularily to fit PrismaColor Premier Colored Pencils for the option of choosing a variety of colors to write and draw with.